We all experience stress in our working lives, to one degree or another, whatever industry we happen to be in. But according to a recent report by Career Cast, PR is one of the most stressful environments you could choose to work in. The profession has ranked among the top ten – which includes military service, firefighters, airline pilots and police officers – for the last five years, and shows no signs of falling out anytime soon. So, as a PR professional, how should you deal with stress? In the short-term, excess stress triggers the ‘fight or flight’ response. When a situation becomes too stressful, our brain relies on these instinctive behaviours. The amygdala (a collection of neurons deep within the temporal lobes of the brain) hijacks our rational brain, floods the body with adrenaline and mobilises us to either ‘stand and fight’ or ‘run away’. However, not all stress is bad. In small doses, stress can be good. It can be a motivator. It can drive people forward. It can focus a person on a specific activity or goal. Some people thrive on stress, on being under pressure. In some, it can increase performance levels and output. But what motivates one person, can demotivate another. And that is something that businesses, organisations and leaders need to be mindful of. Preparation and resilience are key for individuals to be able to handle a busy working environment, and the sort of deadlines and never-ending ’to-do-lists’ that are common in PR. When we pay conscious attention to ourselves, our colleagues and our environment, we can remain resilient and perform at our best in any situation. If organisations and individuals do that, a high-pressured environment can be where people flourish. 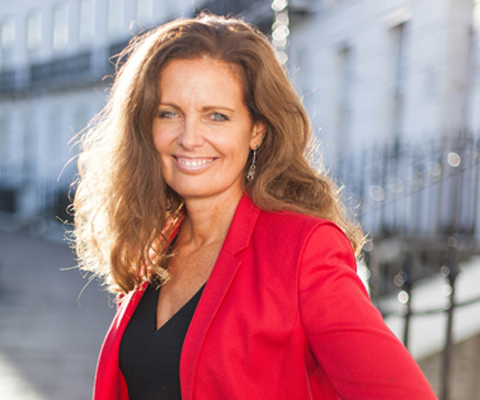 Janice Haddon has over 25 years’ experience in strategic and operational human resources and management consultancy and is managing director of both Morgan Redwood and Thrive in Life 360.